It can seem glib to compare the current era to the 1930s. There are parallels, with the rise of nationalism and the free press under attack, but we are a long way away from Nazi-style totalitarianism returning to the West. Nonetheless today’s journalists can learn much from the way our predecessors dealt with the challenge of reporting on the rise of Hitler in Germany. Some showed courage in the face of oppression which should inspire us, but we can also learn from the folly shown by others. One man who does appear to have learned the lessons of history is the current Lord Rothermere, the proprietor of the Daily Mail. We now know that he not only ignored Prime Minister David Cameron’s pleas that he sack editor Paul Dacre over his anti-EU campaign, but that he did not even mention the matter to Dacre until after the EU referendum (even though Rothermere himself is said to be pro-European Union). Rothermere (Jonathan Harmsworth, 49) will well know the dangers of proprietorial influence given his great-grandfather’s enthusiastic support for fascism and Hitler in the pages of the Daily Mail in the 1930s. The extent of that support is revealed in a new book by Will Wainewright called Reporting on Hitler. The first viscount Rothermere assumed control of the Mail following the death of his brother Lord Northcliffe in 1922. Together with Daily Express proprietor Lord Beaverbrook, Rothermere campaigned for a British Empire free trade area – and high tariffs for elsewhere. He even formed his own United Empire Party to further this aim. In 1931 Conservative Leader Stanley Baldwin said the Mail and Express were the “engines of propaganda for the constantly changing policies, desires, personal wishes, personal likes and personal dislikes of two men”. Following the 1930 German federal election, in which the Nazis won 107 out of 577 seats, Rothermere wrote in the Mail that Hitler’s party “represent the birth of Germany as a nation”. This was at a time when Hitler had made clear his hatred of Jews and belief in racial supremacy in his book Mein Kampf. The Mail was rewarded with exclusive access, publishing several interviews with Hitler throughout the 1930s. In March 1933, Hitler’s party won 288 seats and 44 per cent of the vote. Welcoming the result in an editorial the Daily Mail wrote that if Hitler used his majority “prudently and peacefully, no one here will shed any tears for the disappearance of German democracy”. After the June 1934 “Night of the Long Knives” in which Hitler murdered more than 100 political opponents, the Daily Mail report began: “Herr Adolf Hitler, the German Chancellor, has saved his country”. 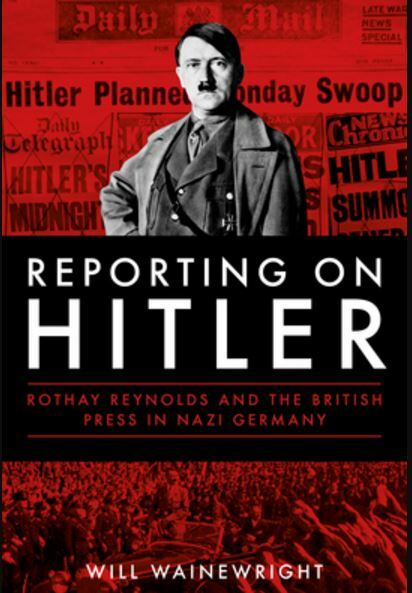 In December that year Rothermere and his son Esmond were the guests of honour at a dinner party hosted by Hitler. The Mail also welcomed Hitler’s remilitarisation of the Rhineland, in contravention of the Treaty of Versailles. In the early 1930s, Rothermere was so close to Oswald Mosley’s British Union of Fascists that Daily Mail staff began to mimic their dress – wearing black shirts to work, Wainewright reports. The nadir of this period was a Daily Mail article headlined: “Hurrah for the blackshirts” which concluded with a direct call for young men to join Oswald’s party. In fairness to Rothermere, his support for Mosley evaporated when he saw the violence and antisemitism associated with his group. And he at least foresaw the potential threat from Germany, and campaigned for rearmament, whilst papers on the left – such as the Guardian – were critical of Hitler but opposed rearming. In the late 1930s Wainewright notes that much of the UK press was guilty of soft reporting about Hitler and Nazi Germany under pressure from Prime Minister Chamberlain who urged editors not to publish anything which might anger Hitler and undermine peace efforts. The Fuhrer was apparently extraordinarily thin-skinned when it came to criticism from Fleet Street. Events in Germany were not uniformly condemned in the British press until the November 1938 anti-Jewish pogroms on the Night of Broken Glass, Wainewright writes. Journalists who reported the truth from Germany in the 1930s risked arrested by the Gestapo and expulsion, but many did. Among them was Phillip Stephens, writing in the Daily Express, who was arrested after reporting about the effect of the international trade boycott on Hamburg in 1934. He went on to write days later about “Jew baiting”, segregation and attacks on synagogues. He was arrested again and given 24 hours to leave the country. Sefton Delmer told the true story of the Night of the Long Knives killings in a front-page story for the Daily Express published on 6 July 1934, and narrowly avoided expulsion from the country. In the late 1930s Evening Standard cartoonist David Low outraged both the UK and German governments with his work lampooning the appeasers. In 1937 The Times angered Hitler by reporting on the massacre by German bombers of 1,000 civilians when they attacked the Spanish town of Guernica in support of General Franco in the Spanish civil war. It led to a wave of anti-British sentiment in the state-controlled German media, Wainewright reports. 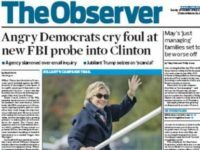 Looking at last year’s EU Referendum, some have talked about the corrupt hand of the press owners on that campaign. Our market-leading national newspapers – the Mail, Sun and Telegraph – were slavish in their support of a Leave vote. 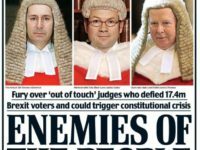 But at the Daily Mail a least, which is probably the UK’s most influential newspaper, it was journalists (and one editor in particular) who were calling the shots. Wainewright’s book quotes a journalist’s complaint to the post-war Royal Commission on the Press about “journalistic knowledge, experience and sense of responsibility to the public being overridden by the fiat of a press lord” in the 1930s. Whether you agree or disagree with his stance on the EU and other matters, I suspect Dacre is driven by a sense of “responsibility to the public” and of what resonates with this readers. 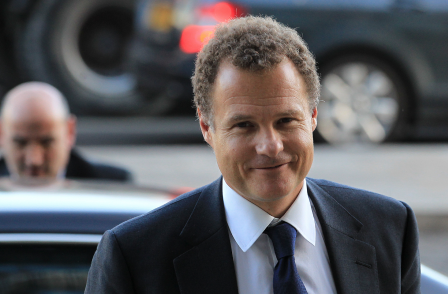 The current Lord Rothermere deserves credit for allowing him a free hand. Reporting on Hitler, by Will Wainewright is published by Biteback, price £20. I don’t know what all the fuss is about? All that it is, is the fact that the masses, the core of many countries have bee treated like manure by a false elite of career politicians who created an economy suitable for chancer’s and racketers. Indeed half of the ‘new breed’ career politicai brigade became chaner’s themselves, as it was such a good racket. This is not new. It happened in France and they chopped their heads off. It happened in England and the King was was no more. It happened in Germany because the people were going hungry and losing everything they owned and had worked for by the minute. Best thing to do is carry on and stop the false folk dead i their tracks. I see Mr Blair is at it again, chancing his arm. He will, because if he can worm his way back in he can then buy another grand sized property and milk the system again at our cost. What we urgently need now is not Brexit but Blitzit. Blair blitzed for good. It’s very convenient to explain the sympathetic attitude towards the Third Reich of many British newspapers in terms of news management by Chamberlain. This did of course exist, but as both Wainewright, and Richard Cockett in Twilight of the Truth, make abundantly clear, Rothermere needed no manipulating whatsoever. It’s also necessary to distinguish between papers which were pro-appeasement, such as The Times and the Express, and those which were pro-Nazi, such as the Mail. There’s a significant difference. Indeed, I’ve always wondered why in CJ Sansom’s novel Dominion, which imagines a Britain which lost the war, the quisling prime minister is Lord Beaverbrook rather than Lord Rothermere, who would seem the obvious choice. By the way, in the Night of the Long Knives Hitler did not murder more than 100 of his political opponents. In point of fact, he instructed the SS to murder more than 100 of his closest and most loyal supporters: the street fighters of the SA. This was because the more radical elements of the SA wanted to have a ‘second revolution’, and Hitler was terrified that this might scare off those elements of big business and the armed forces who were at this point supporting the Nazis. The story was put around by a now totally compliant media that this action was necessary because of homosexual activity in the SA.